Aidan Willitts took 11th place in Friday's five-team mashup. Cape Elizabeth hosted a whopper of a meet to kick off the season on Friday, Sept. 2, welcoming Yarmouth, Maine Coast Waldorf School, Lake Region and Gray-New Gloucester. The Clippers won both the girls’ and the boys’ sides of the bill in impressive fashion, with the Capers coming in a respectable second. Aidan Willitts took 11th place in Friday’s five-team mashup. 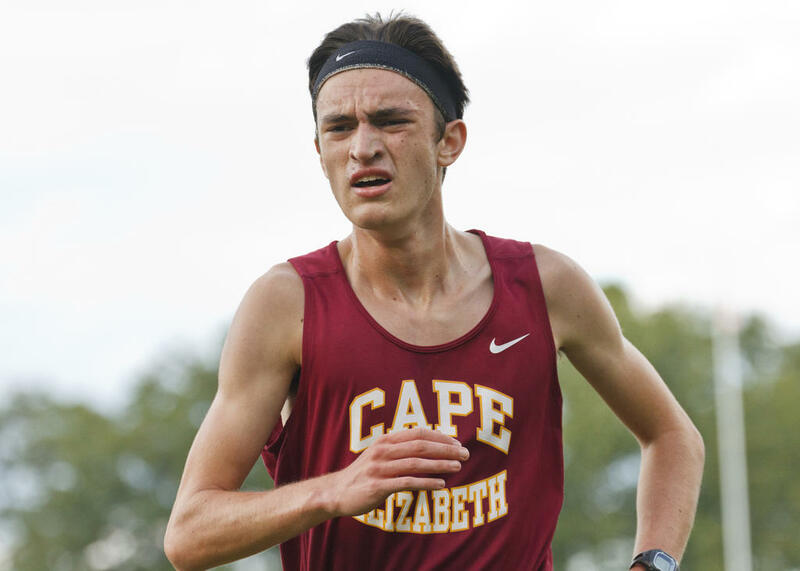 Mighty Luke Laverdiere won the boys’ race at Cape on Friday, narrowly missing the course record. MCWS’s Calvin Soule crossed the line in 19:20 on Friday. 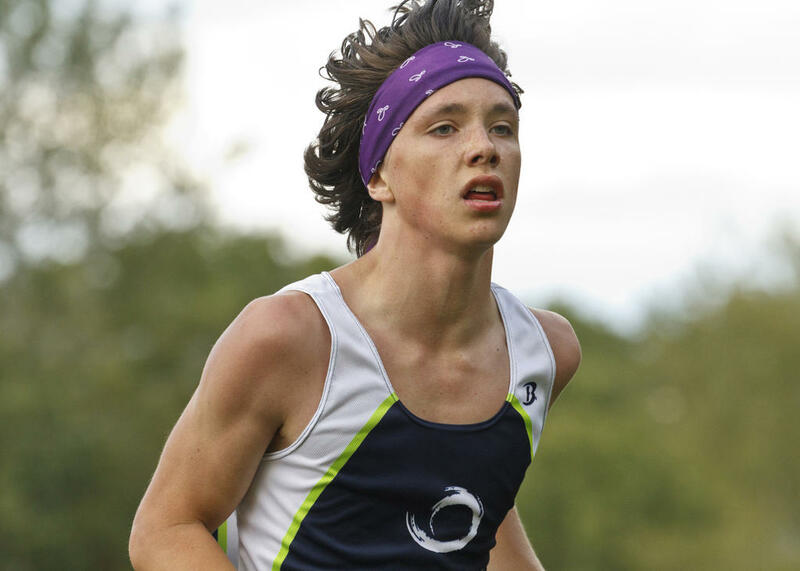 Keegan Delaney finished Friday’s race in 19:17. Patriot Seth Levier finished 25th in Friday’s race, in a time of 19:08. Jeff McCubrey of LRHS finished 19th in Friday’s race. MCWS’s Eli Gundersen finished 13th, in a time of 18:20. Parker Morse finished 12th among all boys in Friday’s race, and crossed the line first for G-NG. Caper Arsen Scheindel earned eighth place at Friday’s home meet. Jack Bassett, just a freshman, took seventh out of a pack of almost 80 boys on Friday. Caper Mac Huffard (left) vies with Dylan Wu (middle) and Nick Neveu (right), both of MCWS. Huffard and Neveu tied for fourth, in a time of 16:46, while Wu crossed the line a fraction of a second later. MCWS’s Tucker Pierce finished second on Friday. G-NG’s Ethan Ray finished Friday’s race in 19:26. 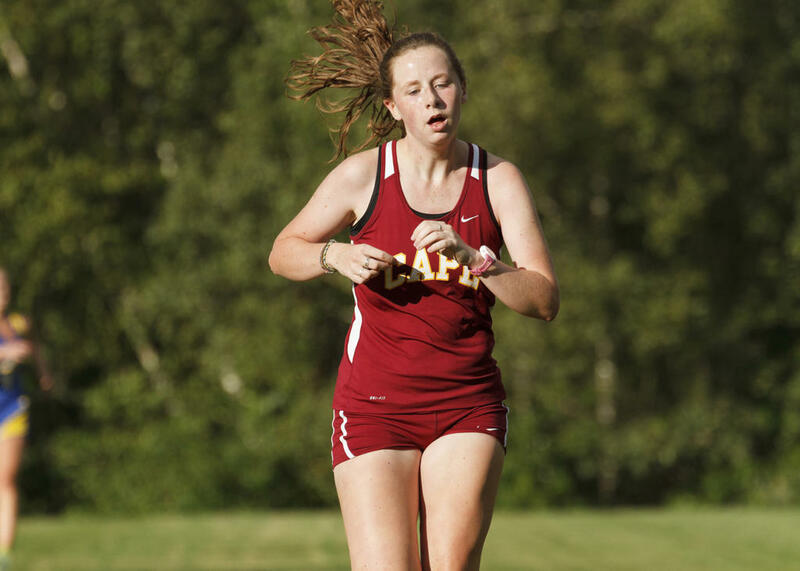 Abigail Hamilton of Yarmouth won Friday’s fiveway meet at Cape. 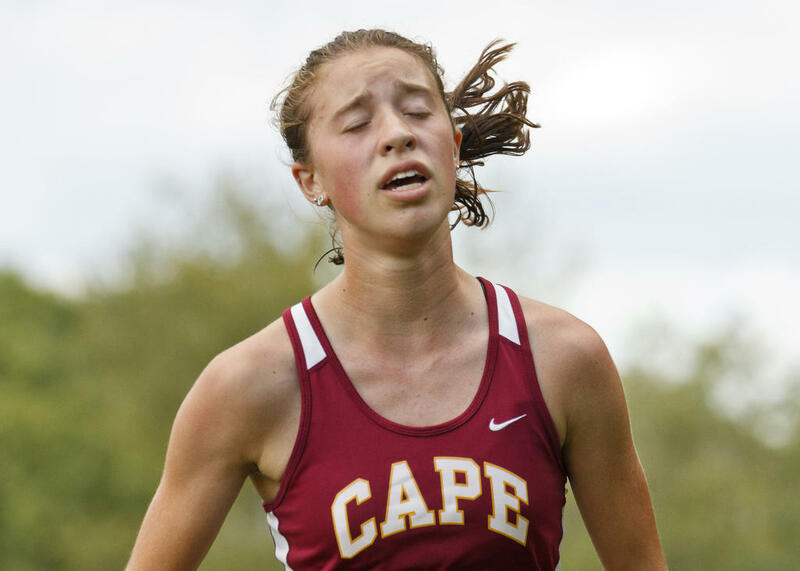 Abby Chandler finished in 23:44 for G-NG at Cape on Friday. Patriot Kylie Trawick finished in 23:16. 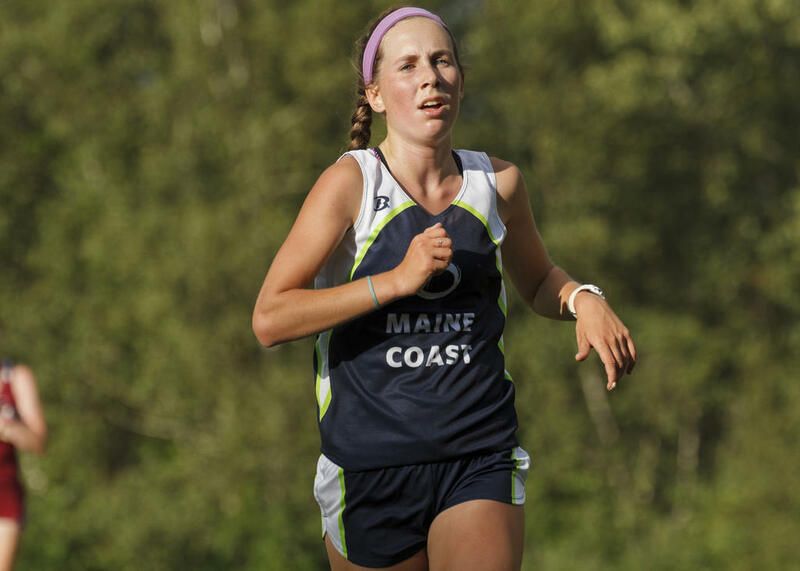 Laker Addie Blais finished in 22:39 at Cape on Friday. Caper Sarah Kenniston finished in 22:31. MCWS’s Louise Ahearne finished 15th among all girls. 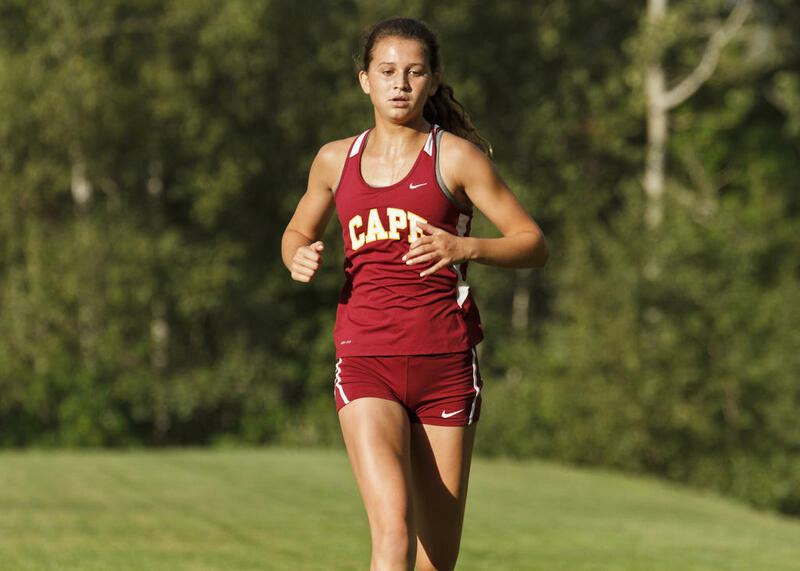 Alicia Lawrence finished 11th for Cape on Friday. G-NG’s Erica Schlicting finished 10th on Friday. Caper Camilla Grosso finished eighth in Friday’s five-school XC melee. MCWS’s Olivia Skillings finished fifth on Friday. Caper Emma Shedd finished fourth at her team’s home meet on Friday. Kelsey Kennedy finished third among all girls at Friday’s meet.